Gafur was born on 28 December 1958 in Tashkent. In the period of 1974 till 1978 he attended the Art College named after "Benkov". In Moscow he studied monumental painting at the State Institution of Arts from 1978 till 1984. As from 1982 he participated in International Art Exhibitions. In the period of 1985 till 2000 he worked as a teacher in the National Art Institution of Tashkent. Gafur was head in the "monumental painting kafedra" of this Art Institution from 1991 until 1996. 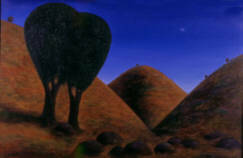 Some of Gafur's paintings are held in the head office of Art Exhibitions in the Academy of Art of Uzbekistan, in the State Museum of Art, in the National Bank of Uzbekistan (NBU) collection of paintings, in the Urgench Art Gallery, in the U.K., in Spain, in the U.S.A., in Singapore, in Turkey, Switzerland, in Uzbekistan and in other private collections. His works of art entered a new era in the Art of Uzbekistan in the ninetes. Gafur's "reamon" got new sides of his arts. New "plastic" thinking, and synthesis of art over many centuries of the East, mixed with modern feelings of eternal understandings; it's beauty of human spirit-it is a result of his many years of searching and struggle. 1988: International Exhibition of Young Artists, Manej, Moscow , Russia. 1991: Solo Exhibition, Paris , France. 1993: Solo Exhibition, Gallery Asia-II, Tashkent , Uzbekistan. 1995: Exhibition, "Gork" Gallery, London. United Kingdom of England. 1995: Exhibition, Gallery Takashima , Singapore. 1996: Solo Exhibition, Theater "Ilkhom", Tashkent , Uzbekistan. 1997: Exhibition, Uzbek Trade House, Altendorf , Switzerland. 1998: Exhibition, Exhibition of Uzbek Artists. Deutsche Welle, Cologne , Germany. 2000: EXPO, Hannover , Germany. 2001: Exhibition, "Andrean Gallery", London , the United Kingdom of England. 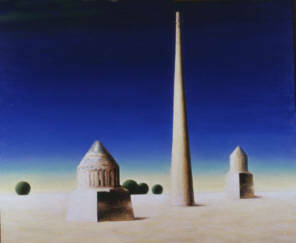 2001: Solo Exhibition, Academy of Arts of Uzbekistan , Tashkent , Uzbekistan. 2001: First International Tashkent biennial. Diploma. 2002: The world bank. 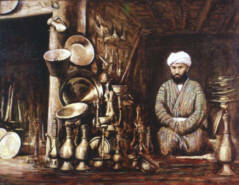 An exhibition of artists of Uzbekistan. USA. Washington. 2002: CEH. An exhibition " Art of the nations ". Russia. Moscow. 2002: CEH. The Academy of arts of Uzbekistan. An exhibition "National folklore in art ". Uzbekistan. Tashkent. 2003: Second international Tashkent biennial. 2003: CEH. An exhibition " Artist and the nature ". Tashkent. 2004: Presentation of Fund "Forum of art and culture of Uzbekistan ". 2004: CHA. International art interior "Ecology ". Russia. Moscow. 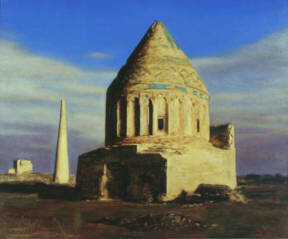 2004: An exhibition "Art of Uzbekistan ". Egypt. Cairo. 2005: CEH. The Academy of arts of Uzbekistan. Day of the painter. An exhibition "City of Tashkent sung by painters ".Uzbekistan. Tashkent. 2005: Days of culture of Uzbekistan. China. Peking. 2005: The international Peking biennial. China. Peking. 2006: St.-Petersburg. An exhibition "Dream of the East ". Russia. 2006: CEH. 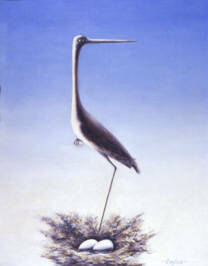 An exhibition "Artist and the nature ". Tashkent. 2006: Exhibition in Gallery " Renaissance ". Tashkent. 2007: National gallery of Uzbekistan an exhibition of a self-portrait "I and we ". By the international day of museums. Tashkent. 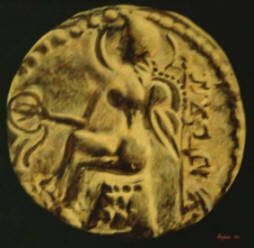 2007: Exhibition "Ancient legends" in gallery " Renaissance". Tashkent.